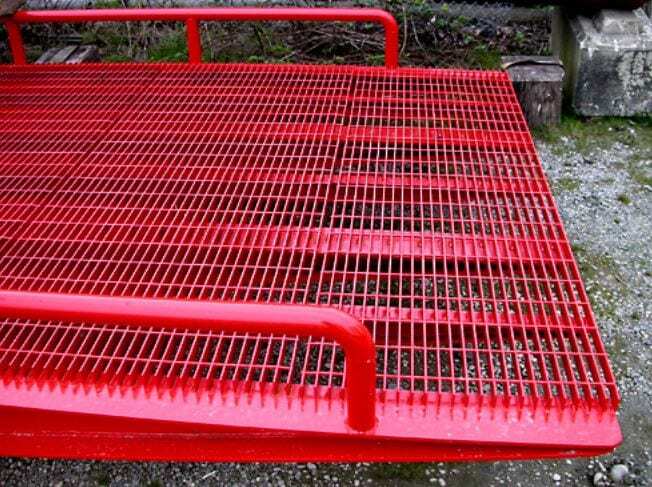 Forklift Service Deck | WM Manufacturing Ltd.
A useful product that we make is our forklift service deck. 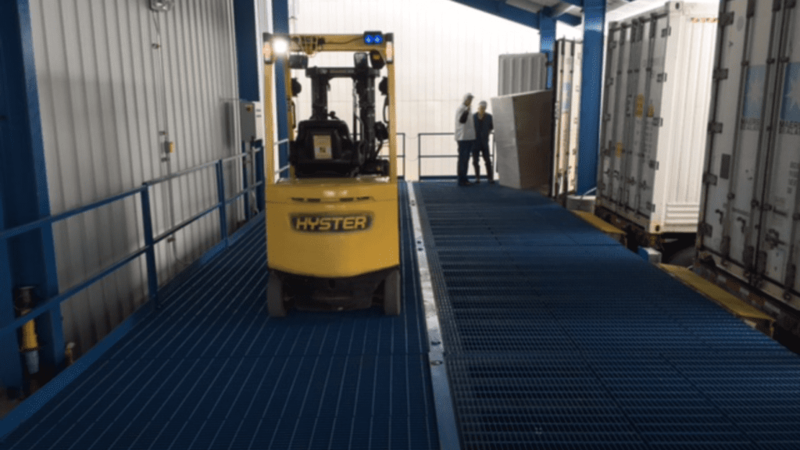 This service deck allows you to drive a forklift up onto the deck and then access the bottom of the forklift for routine servicing such as oil changes or mechanical work. 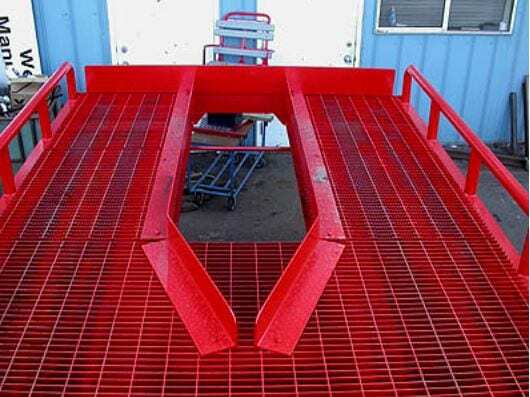 You may purchase a ramp made especially for this service deck. 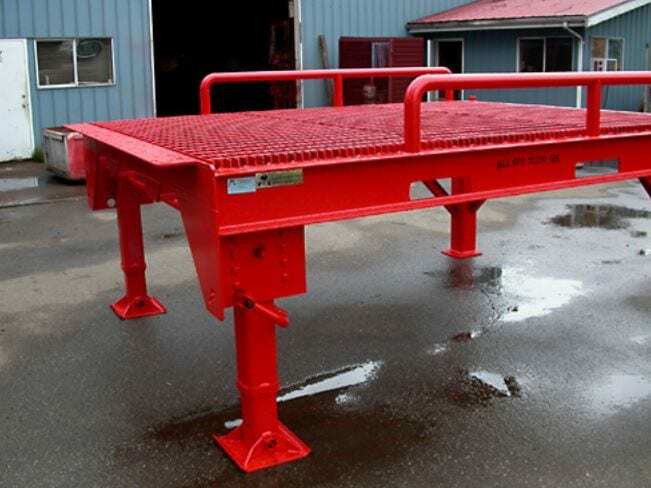 If you already have one of our mobile dock systems you are in a perfect position, because you will not need to purchase the service deck ramp. 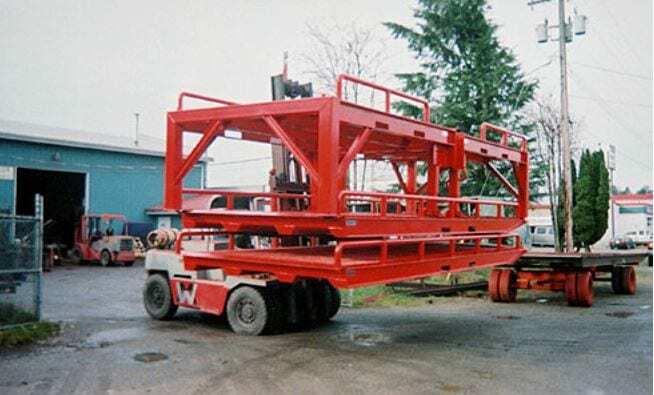 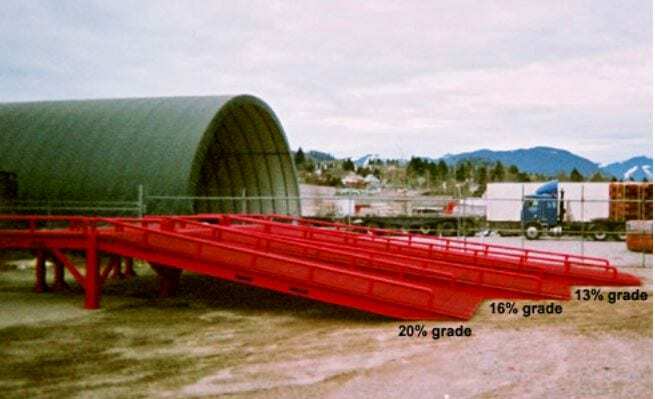 You will be able to easily switch the ramp section over to the service deck, work on your forklift, and then switch back to resume normal operations in very short order. 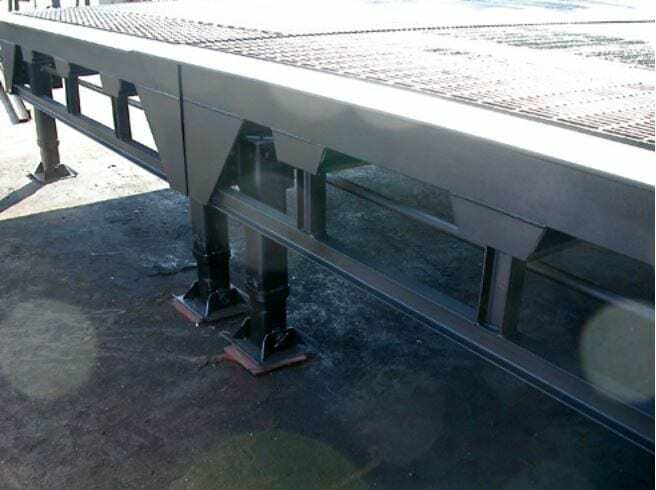 The service deck has been designed with several guards to prevent driving off the end and to prevent dropping a wheel into the service hole in the decking. 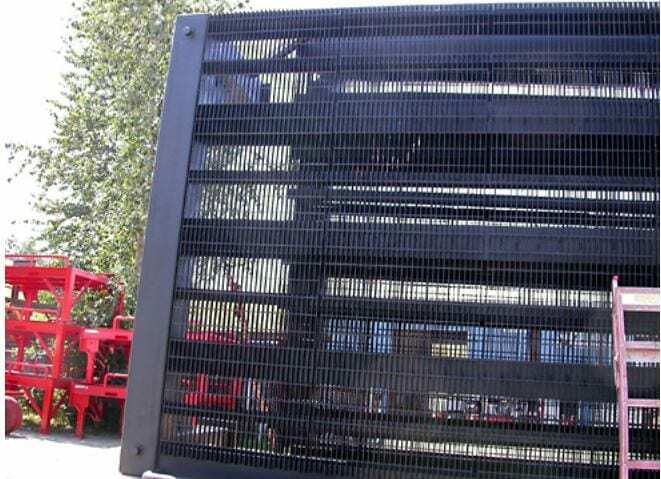 Once the forklift is in place and shut down you can choose to remove the guard around the hole if it is in the way of your work. 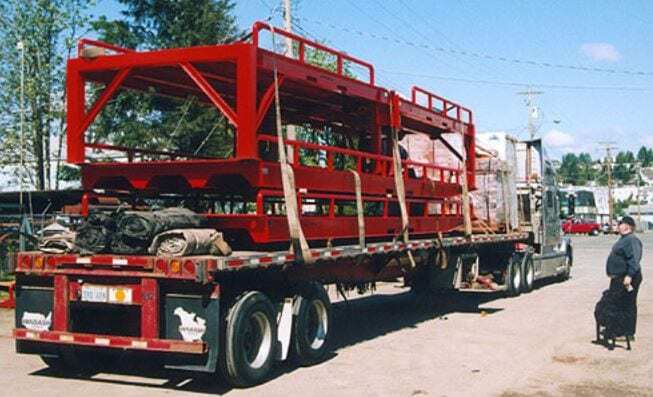 We recommend measuring the spread between your forklift's wheels to allow us to custom fit the support beams to give you as much space to work through as possible. 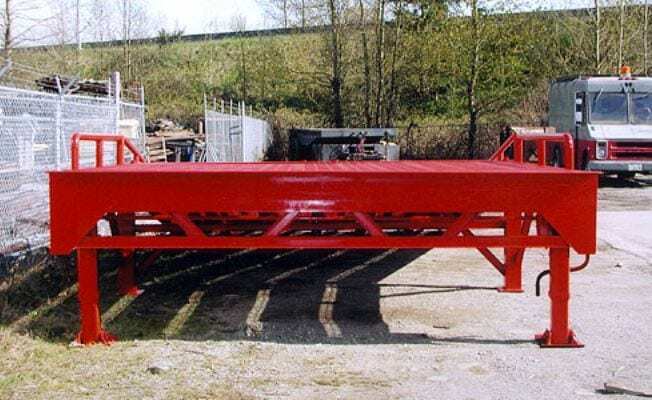 We are known for our trademark colour "forkliftramp red™, but if you prefer, we can paint your ramp in a range of colours. Custom paint colours require an additional charge. 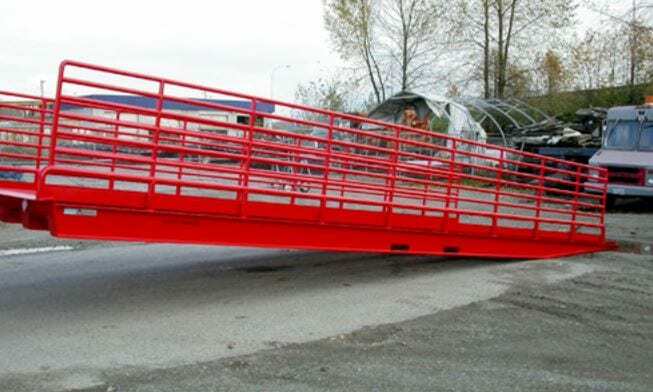 One design option is that we can attach the ramp to the side of your deck if you need to make a right angle turn to get into your trailer. 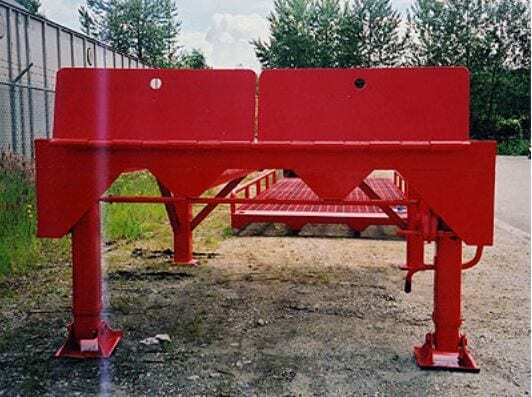 Custom dimensions can be designed and built upon request. 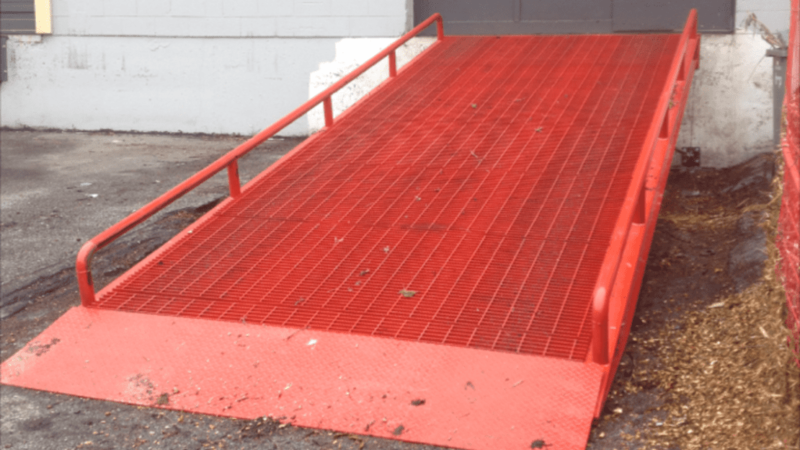 Building Access Ramps with different hand rail heights custom made to order. 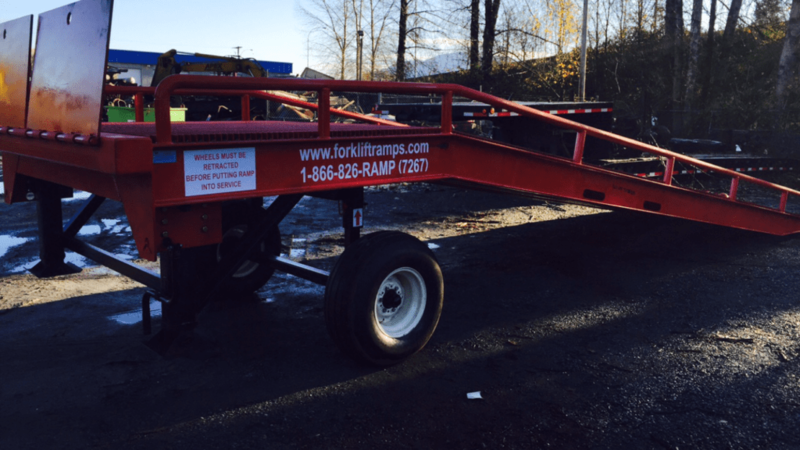 Forklift Ramps Mobile Dock Systems with heavier weight capacities can be designed and built upon request.